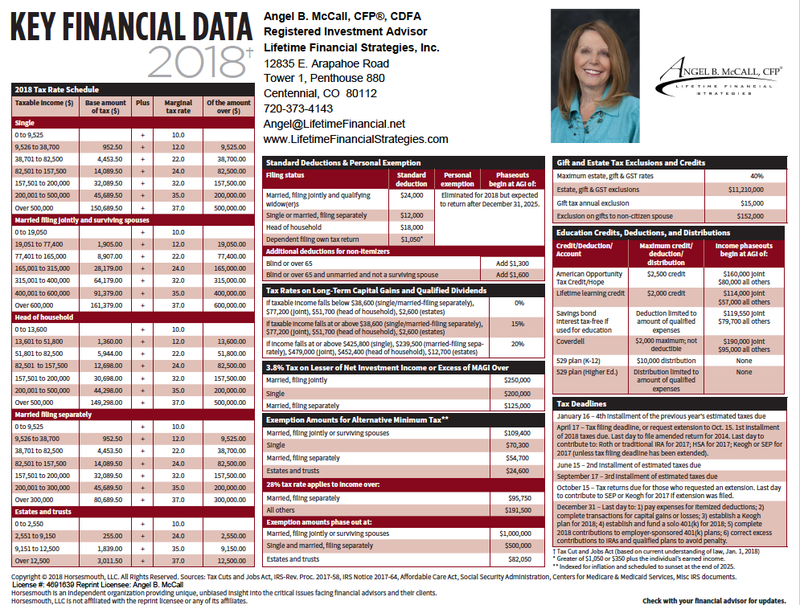 The 2018 Key Financial Data is now available for download. This document serves as a handy reference for the coming year's tax brackets, thresholds, limitations and exemptions. Click below to download your free copy!